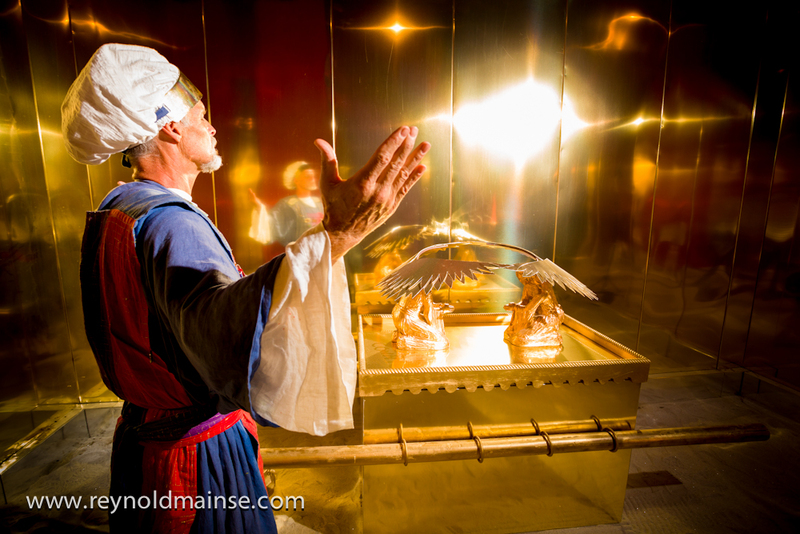 Here we are now in the Holy Place of the Tabernacle of Moses. No longer are we under the bright glare of the sun in the Outer Court and faced with the bronze furniture. (Remember: bronze = judgment) We now enter the soft, glow of the Holy Place. Here, as specified by God Himself, there are no windows and no natural light. The only light in this room emanates from the glow of the Golden Lampstand standing on the South side. 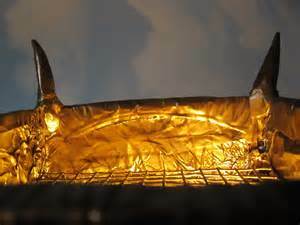 It takes a while for the priests’ eyes to adjust, but once they do they behold a glowing golden room. The acacia wood walls are lined with pure gold. 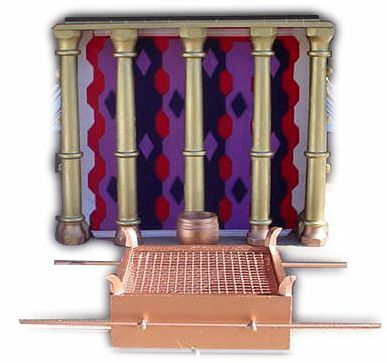 The light from the pure gold Lampstand casts a glow on the Golden Altar of Incense and the Table of Showbread – both of which are acacia wood overlaid with gold. Imagine the beauty of that room! 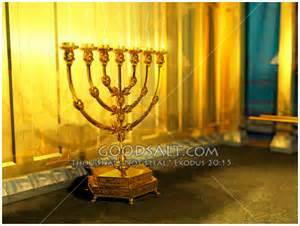 The shimmering golden light radiating from the seven lamps of the Lampstand and bouncing off the gold walls and furniture. Truly this is a picture of the beauty of our fellowship with the Lord. 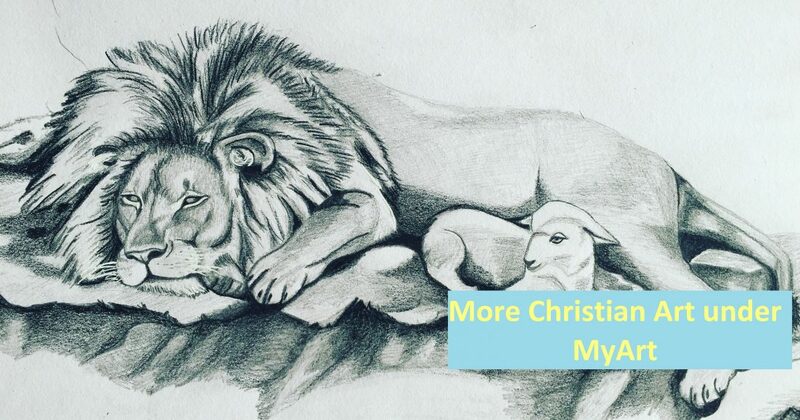 For surely, as the Outer Court was the place of the judgement for our sins, placed upon the lamb, the Holy Place is the place of our fellowship with God and our enjoyment of Him. God does not intend for His people to stop outside in the Outer Court, He wants us to progress through into the place of fellowship with Him. God’s intention has always been to have a people in right relationship with Him. He longs for those with whom He can share His heart, for those whom will pray His prayers and walk with Him in the glow of His light. God has so much to give of Himself and He is calling for a people who are willing to receive of Him. 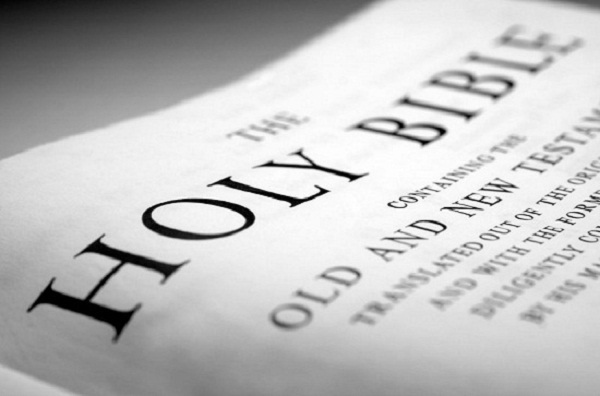 Indeed, we see in John 1:14 that “the Word became flesh and dwelt among us…”. When God sent His Son to earth it was to dwell amongst us. In fact it has always been God’s desire to dwell among His people. 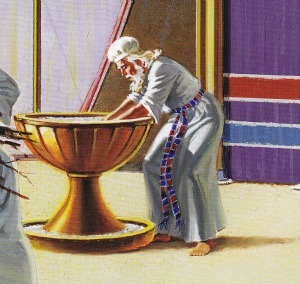 The word “dwelt” here is the same as “tabernacled”. 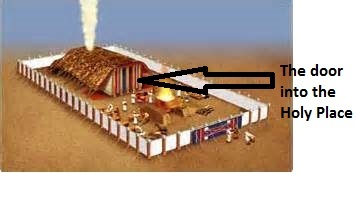 So when God gave Moses the instructions to build the Tabernacle it was in order that He would dwell amongst His People. Of course sin needed to be dealt with first, as it has been at the cross (the Brazen Altar in the Outer Court), and now God wants to dwell among His people to fellowship with them. 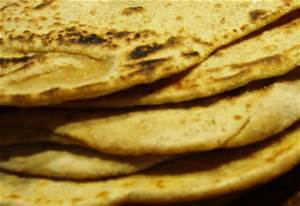 In the Old Covenant He dwelt nationally amongst His people. In the New Covenant He dwells both individually in the believer and corporately in the Church. 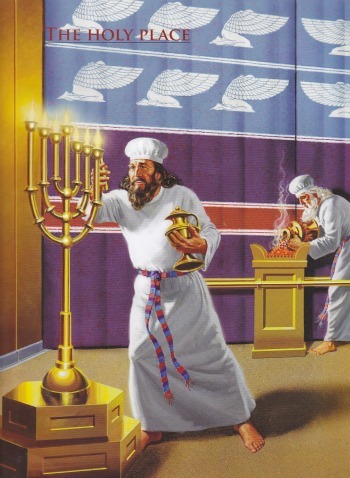 The function of the Golden Lampstand in the Holy Place was to give light: to provide illumination for the priests as they ministered to the Lord. If the Lampstand had not been there it would have been pitch black and the priests wouldn’t have been able to carry out their ministry. God would never have us groping in the dark. 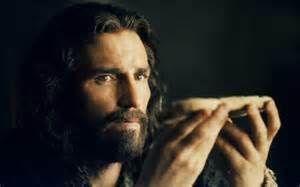 He has provided His light to the Church, both in His Son Jesus Christ and through the ministry of the Holy Spirit. Was decorated with almond blossoms and almonds The almond tree was the first to blossom after winter in Israel. This speaks of the resurrection of Christ. No natural light in the Holy Place The natural, fleshly man can’t see His deity. It has to be revealed (illuminated) to us by the Holy Spirit. 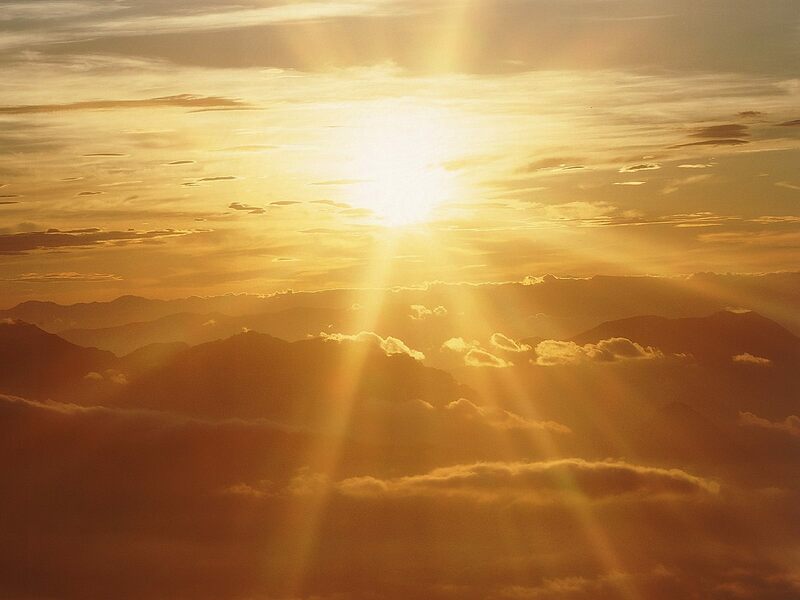 And so we see that just as God provided the Golden Lampstand to the priests of the Old Covenant, in order to fellowship with Him, so too has He provided us, the Church, with Light so that we too can have fellowship with Him. 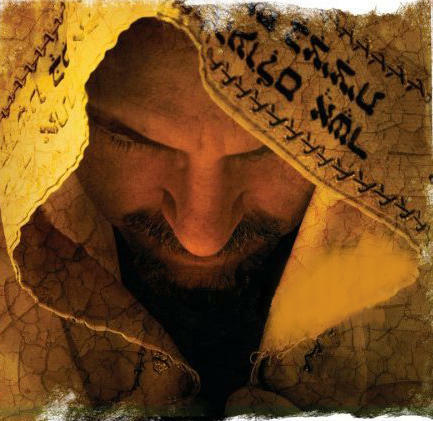 Firstly through the Light of the World, the person of Jesus Christ, the Saviour of mankind. 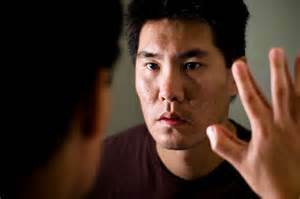 And secondly through the ministry of the person of the Holy Spirit. The Holy Spirit shows us how to have fellowship with God – it is through the eating of the Bread (the Word of God) and ministering at the Golden Altar of Incense (prayer). In fact, God’s way hasn’t changed. It is only through His Son, the Lamb of God slain from the foundation of the world, that any fellowship with God is possible at all. Once we are put back into right relationship with God through Jesus’ shed blood, then the Holy Spirit leads us to prayer and the Word. There is not some new or secret way to fellowship with God. It is simply through spending time with Him in our prayer closets, with the Word of God and our hearts open ready to receive of Him. May our great God and Saviour Jesus Christ bless you! 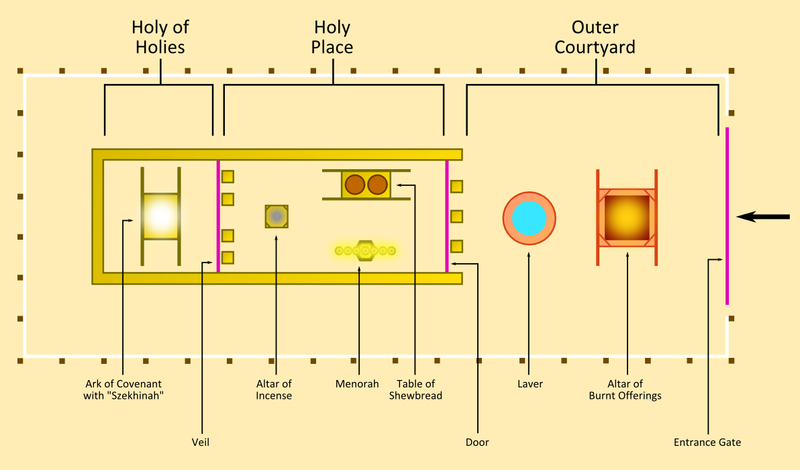 Categories: Jesus and The Tabernacle | Tags: Christian, Christianity, dwell, fellowship, God, golden, lampstand, meaning, minister, Moses, Priest, tabernacle, the holy place | Permalink. 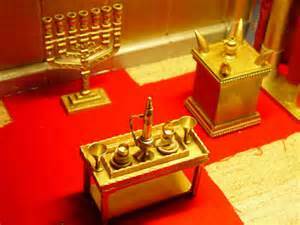 Christ, just as does every part of the Tabernacle of Moses. In this post we will see the beautiful picture of the holiness and the redemption of Jesus Christ in the walls and gate of the Outer Court. 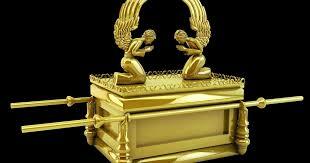 “You shall also make the court of the tabernacle. For the south side there shall be hangings for the court made of fine woven linen, one hundred cubits long for one side. 10 And its twenty pillars and their twenty sockets shall be bronze. The hooks of the pillars and their bands shall be silver. 11 Likewise along the length of the north side there shall be hangings one hundred cubits long, with its twenty pillars and their twenty sockets of bronze, and the hooks of the pillars and their bands of silver. 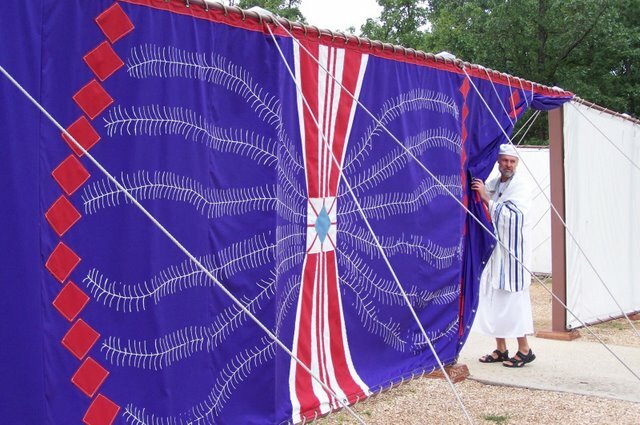 16 “For the gate of the court there shall be a screen twenty cubits long, woven of blue, purple, and scarlet thread, and fine woven linen, made by a weaver. It shall have four pillars and four sockets. 17 All the pillars around the court shall have bands of silver; their hooks shall be of silver and their sockets of bronze. 18 The length of the court shall be one hundred cubits, the width fifty throughout, and the height five cubits, made of fine woven linen, and its sockets of bronze. The Outer Court is a picture of Christ. Christ came in His righteousness as our redemption. He took our place, as a substitutionary atonement in God’s judgment against sin. The Outer Court and the Law of God. The Outer Court is also a picture of the Law of God. 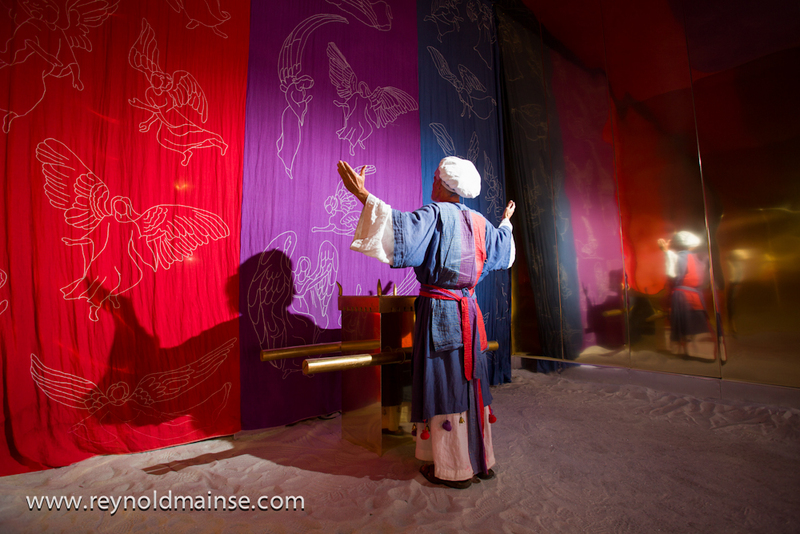 The Tabernacle was surrounded by a wall of fine linen hangings. This wall kept the Holy of Holies, where God’s Shekinah Glory dwelt, separate from the outside world. Each person upon approaching God’s dwelling place, the Tabernacle, was confronted by this huge 7.5 foot-high wall of fine linen. 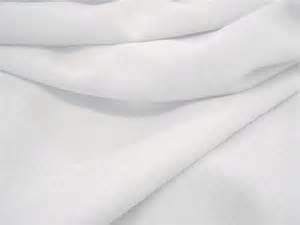 As we know, fine linen speaks to us of righteousness. 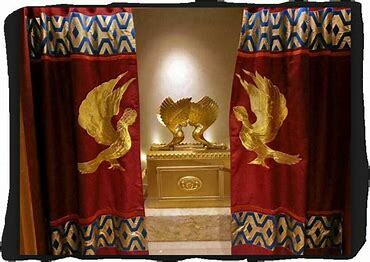 At the front of the Tabernacle an individual was confronted with the wall of the holy standard of God’s righteousness upon their approach to Him. How could they enter this holy and righteous place? How could they scale this wall of righteousness? How could they get to a holy God? Just as each person was confronted with the wall of God’s righteousness at the Tabernacle, so this is true of today as well. Each sinner needs to be confronted with God’s holy righteousness – His Law, the 10 commandments, to see that he cannot measure up to God’s standards of holiness. God is perfectly good, perfectly Holy, perfectly righteous. But we are not. Once we are confronted with His righteousness we see that there is no way to scale the wall into His righteousness. There is no way we can get in on our own. We are lost, without hope. But…the Outer Court had a Gate. 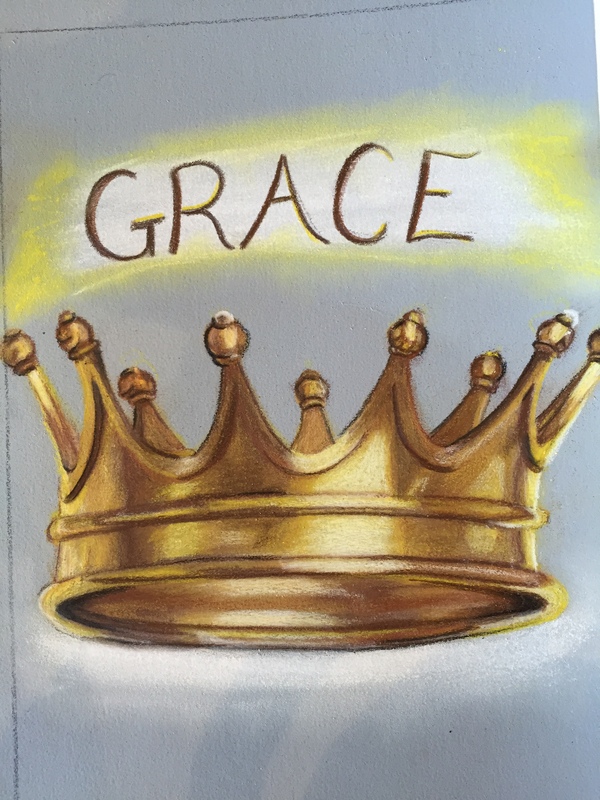 God, in His marvelous grace, has of course made a way into His presence. But…. there is only ONE way. And that is through His Son, the Lord Jesus Christ. 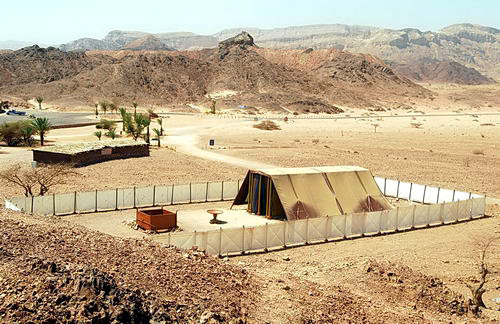 An individual could only enter the Outer Court through one gate on the east side of the Tabernacle. The walls were so high that anyone trying to climb over them could have plunged to their death. This speaks of the sinner trying to work his way, or climb his way, up to God. It doesn’t work, for we will never be good or holy enough to meet God’s standards. The way of the flesh only leads to death. But there was this gate and it was the way, the only way, into the presence of God, into Life. The gate had a screen woven of blue, purple and scarlet thread as well as fine linen. The colours = His heavenly nature (blue), His royalty (purple) and His sacrifice (red). We see that there is only one way into the presence of a Holy God, and that is through the gate, the Person of Jesus Christ. Just as none could enter the Tabernacle and approach God from any other way except through the gate, so it is the same today. No one can approach God any other way than through Jesus Christ. We come through Him, we come through the Gate. Going through the gate we enter through Him. We come through His righteousness (linen), His heavenly nature (blue), His Kingship (purple) and His sacrifice (scarlet). 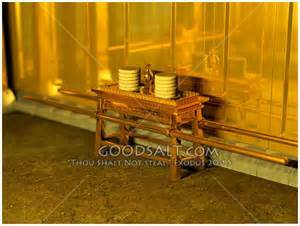 Then when a person was in the Outer Court of the Tabernacle they too were separated from the world. This speaks of the holiness of God and the separation of man from the world unto Him. Upon entering through the Gate, immediately the individual is met with the Brazen Altar. Categories: Jesus and The Tabernacle | Tags: Christian, Christianity, Faith, Jesus Christ, Moses, old testament, picture, tabernacle, Tabernacle of Moses, teaching | Permalink.